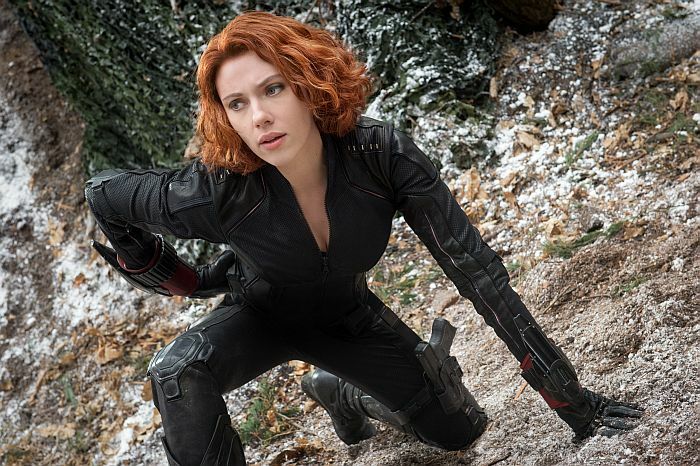 The final trailer for The Avengers: Age of Ultron (May 1st) has arrived and it features Black Widow. Ultron asks how the Avengers are going to stop him? Team work, of course. But the wild card is Scarlett Johansson’s Black Widow, who’s the centerpiece of the trailer, showing off her badass fighting skills, street smarts, and ability to keep the hot tempered guys in check. In fact, check out how she handles Ultron with an electric stick and Captain America’s shield. Given Joss Whedon’s predilection for strong women, this makes perfect sense. Let’s see if it becomes her movie.